A startup proposal with the mission to connect freelancers to professionals in the need for instant advice. We have probably all been in this situation. You’ve been thinking about a problem and you are stuck in your own mind, you can’t continue your work. 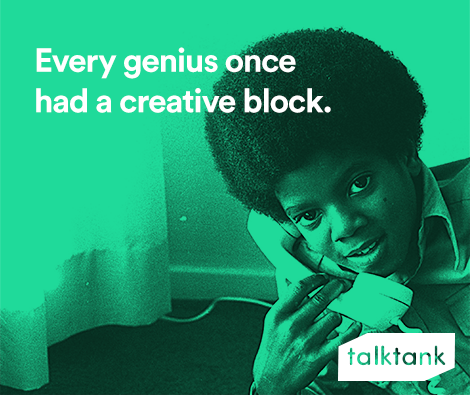 Wouldn’t it be helpful if a simple phone or video call can instantly connect you with an expert, that can break your (creative) block? TalkTank connects people that seek immediate advice with freelancers through a genuine voice or video call. Because sometimes the only thing you need is a fresh perspective on your problem. 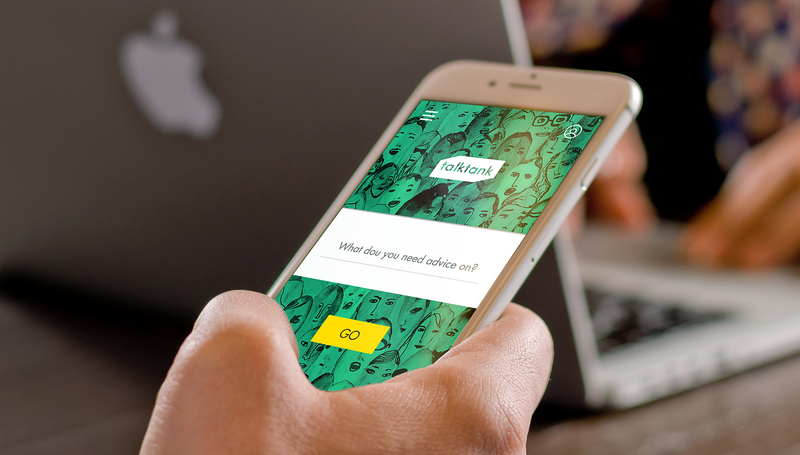 With TalkTank we tap into a market that is on the rise. Between 2008 and 2015 freelancing was the fastest growing occupational group in the UK and today there are over 1.9 million people in the UK that work as a freelancer. Freelancers have downtime in between jobs and our aim is to utilize and monetize this time. Based on a 40 hour workweek and 1.9 million freelancers, we are talking about more than 12 million hours of untapped intellectual capital a week. TalkTank’s concept is grounded in strong research and insights from over 40 people. To validate the assumptions that people will call a stranger for advice and that people are willing to signup and receive calls from a stranger, we ran a 12-hour pilot. We created and promoted a landing page nd via this low fidelity prototype we offered our creative expertise. In 12 hours we received 17 calls and 38 signups, and our user base is still growing. The team learned a lot from this experiment and it allowed us to shape the way we communicated our service. 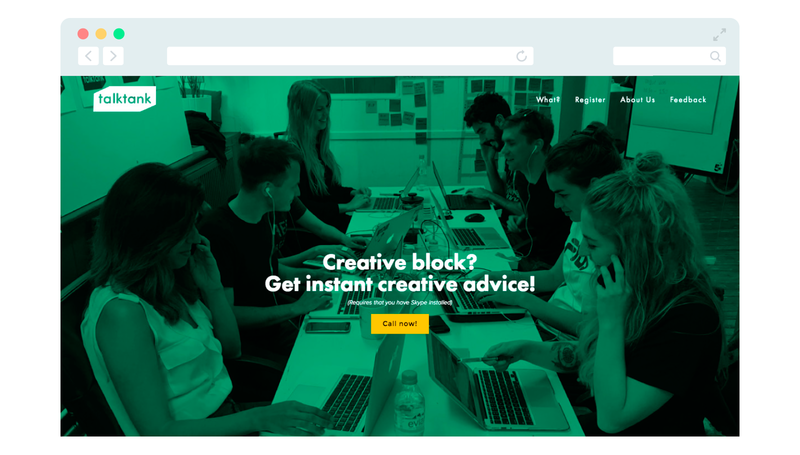 The ambition has been to scale TalkTank from a small creative hotline to a global platform, that connects freelancers with spare time with people in need of immediate expertise. This allows professionals to get advice that is only one call away and freelancers to make money, whilst expanding their network and job opportunities. Our experts set their per minute rate and TalkTank guarantees quality by allowing customers to evaluate the expert they talked to, both on quality and relevance. B2C: Users pay per minute to talk to an expert and TalkTank takes 20% of every minute charged. B2B: TalkTank charges brands to set up profiles on our platform, which allows professionals to speak directly to them. In doing so brands can communicate better with potential customers, an in-direct way of customer service. TalkTank was founded by a team made up of five friends that met each other at their Masters at Hyper Island. The team won’t set forth with the concept, but it was loads of fun! 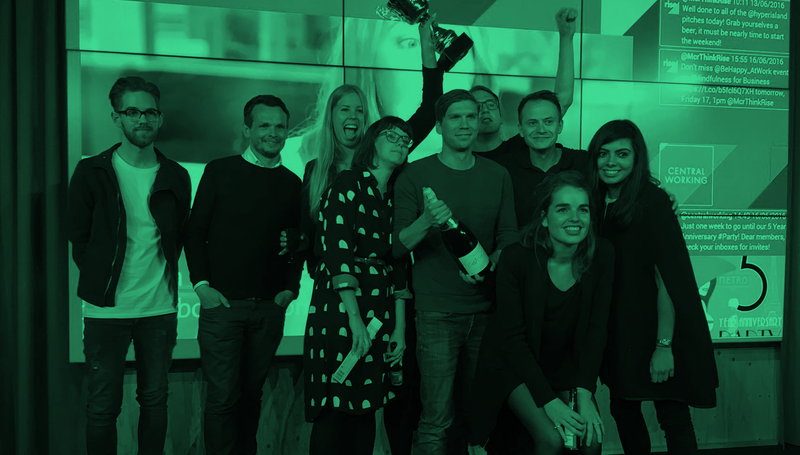 TalkTank won the Hyper Island startup competition of 2016.